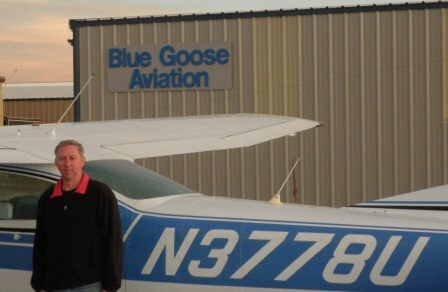 Joe Kuberka started flying in northern Minnesota in 1978. His love of aviation is still as strong today 40 years later as when he took is first training lesson. Joe attended the University of North Dakota from 1979 to 1982 graduating with a BSPA in Aviation Administration and earning his Private, Commercial, Instrument, Instructor, Multi Engine and Glider ratings at the University. He joined and has been active with AOPA since 1979 and EAA since 1982. In 1983 Mr. Kuberka joined the United States Air Force and flew for 20 years as an Air Force pilot. He flew B-52 bombers, and KC-135 tankers for major weapon systems. He also spent two tours at the USAF Academy selecting which cadets would be Air Force pilots and teaching basic airmanship. Major Kuberka taught the mountain flying course to Academy instructor pilots and checked out as a Montana Mountain Search and Rescue Pilot. He also attended the Air Force Aircraft Accident Investigation Course and held a safety officer designation for over 10 years. Duties in this area lead to teaching numerous classes on cockpit resource management and risk management. Joe earned a Master of Aeronautical Science from Embry riddle Aeronautical University in 1994. During his entire Air Force career he maintained his civilian ratings and owned an aircraft since 1988. Continuing to increase his own knowledge of aviation he added an instrument instructor rating, glider instructor rating and sea plane rating to his license. He is an aviator with over 10,000 hours that loves to instruct, while promoting safety to other pilots. Since retirement from the Air Force, Mr. Kuberka has developed a self flying guided mountain air tour allowing pilots to gain mountain flying experience while vacationing in the Rocky Mountains. Steve Hellwege retired from the United States Air Force in 2003 after 27 years of service. He has logged over 4,400 flying hours in a wide variety of aircraft ranging from the Boeing B-52 to the Cessna-150. His interest in flying stemmed from an early age when he had the opportunity to travel with his parents overseas aboard such venerable aircraft as the Douglas DC-7 and Lockheed Electra. Upon graduation from Winter Park High School, Winter Park, Florida in 1972, Steve saw his opportunity to become a pilot through an Air Force ROTC scholarship at the University of Central Florida in Orlando. Upon earning his bachelors degree and commission as a second lieutenant in 1976, Steve was assigned to Mather Air Force Base, California where he entered navigator training. Eighteen months later he had his wings and began duty fighting the Cold War in heavy bombers at Blytheville Air Force Base, Arkansas. Having lost his pilot training slot as a result of the Vietnam War draw down, Steve never gave up and was one of 50 navigators Air Force wide to be selected to attend pilot training in 1981. Earning pilot wings in November 1982, he was assigned to fly the Lockheed C-130 Hercules out of Little Rock Air Force Base, Arkansas. With a global mission, Steve had extensive experience flying throughout Europe, Central and South America, the Pacific rim, and North America. Not only did the Hercules have a cargo hauling mission, but performed combat airdrop and forward deployed to many austere locations. The “Herc” offered Steve some of the best low-level VFR flying one can experience. The C-130 also had a short field take off and landing capability from unimproved fields as short as 2,500 feet. Steve’s next significant flying opportunity came as operations officer and commander of the 458th Airlift Squadron, Scott Air Force Base, Illinois. His squadron flew the C-21 (military Learjet 35) in an executive transport role. This duty took Steve through the nations busiest airports such as Reagan National, Chicago O’Hare, and even Los Angeles International Airport. Mission requirements often called for stops at all types of civil fields as well as most military bases. Leaving Illinois for Colorado, Steve became the Deputy Commander for Operations, 34th Operations Group at the United States Air Force Academy. This flying assignment took Steve back to the basics, teaching cadets airmanship. This was accomplished through the Academy’s soaring, parachuting, and flight screening programs. Flying the fully aerobatic Slingsby T-3 Firefly, Steve prepared cadets for Air Force pilot training. Subsequently, Steve also flew the DCH-6 Twin Otter operated to support the freefall parachute program and the Academy’s Cessna-172 in support of airmanship academics. Steve also has time in a variety of gliders flown at the Academy. Following his service in the United States Air Force, Steve returned to his native state of Florida and currently resides with his wife Barbara in Brandon (suburb of Tampa). Steve currently logs time in the Cessna-172 and along with his wife loves traveling and boating. 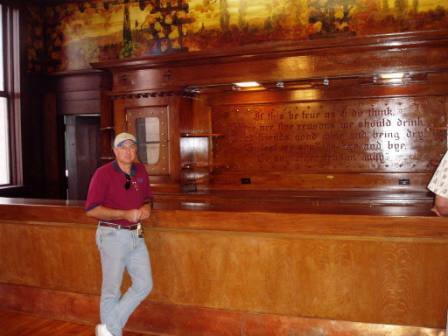 You can meet Steve on a Blue Goose Aviation tour or at one of the many events sponsored by the EAA and AOPA.